Book industries and trade; Handbooks, manuals, etc. Publishers and publishing; Handbooks, manuals, etc. Amazon.com description: Product Description: Once referred to derisively as "vanity publishing," self-published books are finally taking their place alongside moreaccepted indie categories such as music, film, and theater. 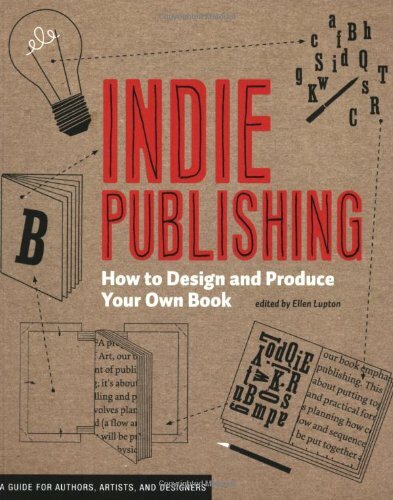 Indie Publishing is a practical guide to creating and distributing printed books regardless of your background, skill set, or ambition. It will help you realize projects of every scale and budget, from the traditional bookmaking techniques used to create zines to the more ambitious industrial production methods required to produce hardcover books in large quantity. Indie Publishing's special focus on the visual design of books makes it unique among publish-it-yourself manuals. Readers are taken step-by-step through the process of designing a book to give it personal style as well as visual coherence and authority. Design principles such as scale, cropping, pacing, and typography are explored in relation to each example, along with commentary on how to create effective title pages, tables of contents, captions, and more. Indie Publishing aims to inspire readers with examples of print projects similar to those they might undertake on their own. Sample designs include a picture book, artist's portfolio, exhibition catalog, poetry chapbook, novel, and zine. Indie Publishing addresses the important business aspects of independentpublishingfrom how and why you should get an isbn number to creating promotional materials and using the internet to market your book. This comprehensive, illustrated guide concludes with a curated portfolio of the most exciting examples of independent publishing from the contemporary scene, reproduced in full color. If you have content to share and you want to give it a fresh and orderly form, this book will kick-start your project and keep you motivated until the ink dries. Indie Publishing is the eighth title in our best-selling Design Briefs series, which has sold more than 100,000 copies worldwide.